Rene Paolomares is a local artist and art teacher that comes on to enlighten us about his process as well as to why he loves teaching. 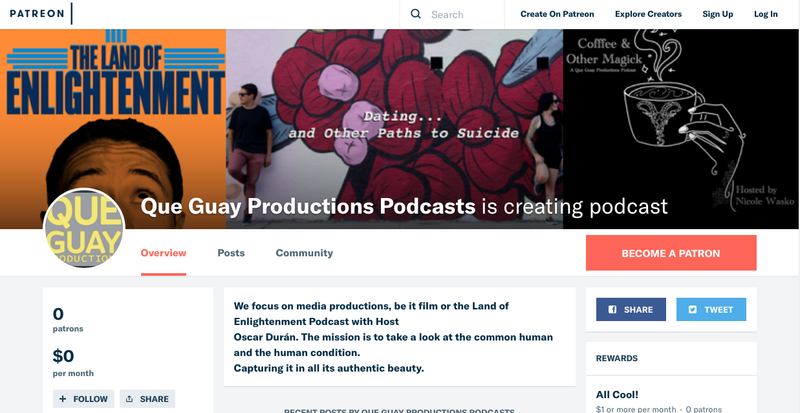 We focus on media productions, be it film, events or podcasts. The mission is to take a look at create connections between people through dialogue, public scholarship, and knowledge sharing. Que Guay Productions® is a registered trademark. All content of Que Guay Productions is copyrighted. © Some rights reserved 2018. This site is licensed under the terms of the displayed Creative commons license. Content may be used only under these terms: non-commercial use only; no modifications allowed; attribution required in the form of a statement. Powered by Google Sites.